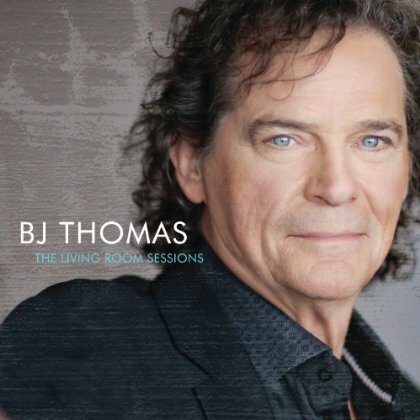 Discussions Magazine Music Blog: BJ THOMAS/The Living Room Sessions: Available April 2nd, 2013! BJ THOMAS/The Living Room Sessions: Available April 2nd, 2013! 2013 album from the veteran Rock, Country and Gospel artist containing intimate acoustic re-imaginings of 12 of his most renowned songs. Working with famed veteran Country music producer Kyle Lehning, at Sound Stage Studio in Nashville and backed by a host of Music City's finest sessions musicians, Thomas recorded many of these as duets with a perfectly fulfilled "wish list" of guest artists from different genres. These include pop great Richard Marx, Country legend Vince Gill, bluesman Keb' Mo', Lyle Lovett, rocker Isaac Slade (The Fray), and producer/songwriter turned popular contemporary standards singer Steve Tyrell. Thomas also vibes on The Living Room Sessions with two lesser known powerhouses, labelmate and renowned Nashville touring and session singer) Etta Britt and Broadway and soundtrack phenom Sara Niemietz. The Living Room Sessions also includes four solo performances by Thomas.